In recent years, yoga has become a way of life in the world, especially in cities such as in the United States, Britain, Bali, Australia, and of course in India. The high for the health benefits of yoga is one of the main factors increasing the number of people who likes to do yoga. Yoga has been practiced for over 5,000 years in India. Yoga has long been spread to many cities in the world. It turns out nearly 11 million Americans enjoy yoga because they become healthier. The most popular yoga class is on learning physical poses, called Asanas. It also usually includes some form of breathing techniques and meditation. Some yoga classes are designed purely for relaxation. But there is a style of yoga that teaches you how to move your body in new ways. Choosing one of these styles offers the greatest health benefits so much by allowing you to develop your flexibility, strength, and balance. Busyness is high sometimes making you become stressed. As you know, one of the benefits of yoga is best known to relieve your stress. In some people, stress can trigger overeating that can lead to weight gain. Therefore, to prevent stress and eating large meals, yoga is a way to cope. If you meditate a few minutes, say 15 minutes, then you will find a sense of serene, the brain will not be busy again, so that you can continue to work or other activities with new inspiration, then you will be more productive and able to hit the target. Some people may have limited time and physical exercise that is too strenuous. If you cannot do intense exercise, yoga can be an appropriate alternative. Each movement of yoga allows the body to burn more calories, so it's good to keep your weight. What you eat plays a major role in the process of increasing your weight. Eating high-calorie foods can cause the body to store excess calories as fat that can accumulate if you rarely move. Practicing yoga allows your body to remain active allowing a greater calorie burn. The next yoga benefits, exercise is fun if done together. Insert a bit of time to practice yoga with your teammates. Exercise together can enhance the spirit of practice as well as get rid of boredom. The benefit of yoga for health is undoubtedly. When you start to stress with work. Stop your work and do some simple yoga moves out of your seat to refresh your body and mind. Some studies have suggested that yoga has a positive effect on learning and memory. Other researchers have found that yoga can slow the aging process, increase a person's sense of self-acceptance, or improve energy levels. Some potential benefits of yoga may be difficult to study scientifically. For example, yoga is said to increase spiritual awareness. 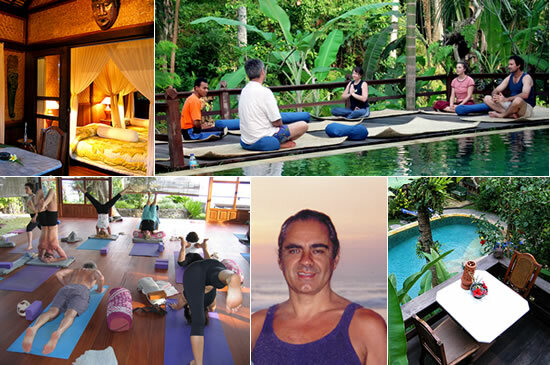 To know the benefits of yoga from a spiritual aspect, you can find it in Ubud, Bali. Ubud has long been a center of yoga. Many foreigners from various countries are practicing yoga in Ubud and a few other places in Bali. They found that during this chakra hidden inside their bodies. 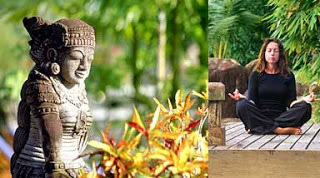 You can find out more about yoga in Bali on the article "Discover Your Chakra in Bali". Let's go to Bali to get the mental and physical health by practicing yoga, so we enjoyed a wonderful balance in our lives.